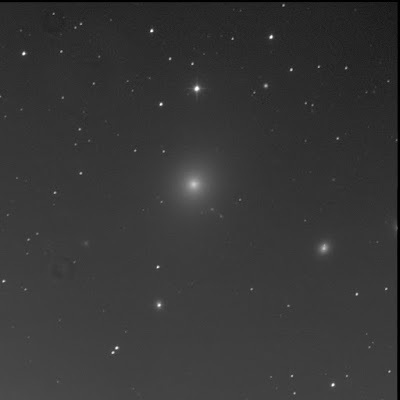 I captured Messier 87 with the BGO robot. Another galaxy in Virgo. Another M target viewed only once before (again on 4 May '13). The coolest thing? You can see the jet emanating from the core! The relativistic jet from the intense core of Messier 87 is angled to the west-north-west. Wow. 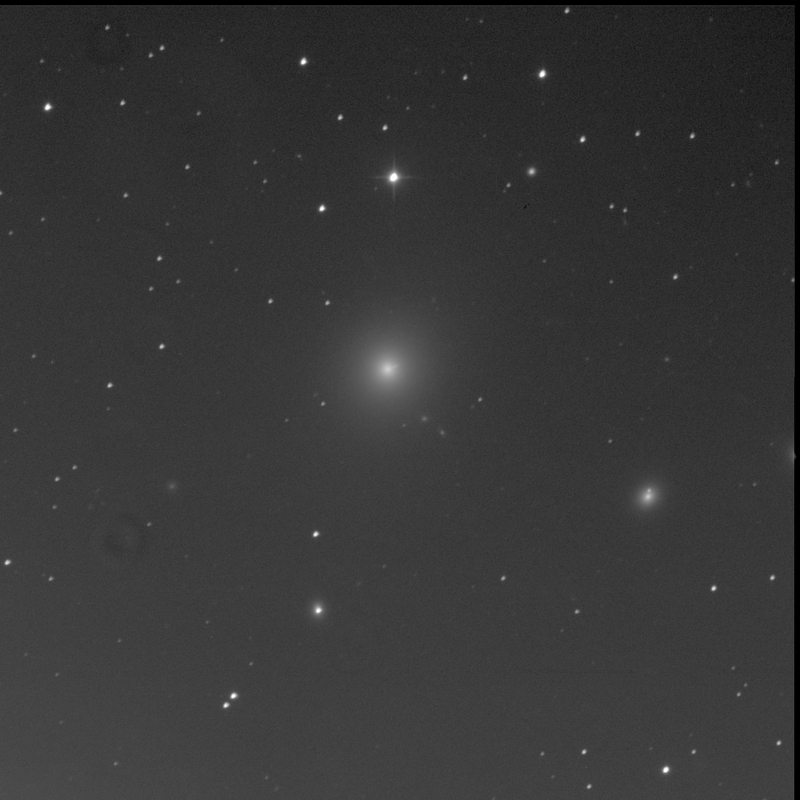 M87 is a rather large elliptical galaxy again oriented south-east to north-west. Smooth and uniform. M87 is also known as NGC 4486 and Arp 152. To the north-west, there is a very compact, small, round galaxy, almost star-like. It is NGC 4486B. I didn't see it at first but there's a tiny sliver below the pair of stars with J123022.1+122822. This distant galaxy is LEDA 139910. Bright NGC 4478 is to the west-south-west. It has a bright core with a diffuse cloud surrounding it. Is it an elliptical as well? There's also a bright point just above, to the north, very close. Another galaxy? Or a star? To the south-west, very near the core of grand island universe are two nearly equal faint oval fuzzies. SkyTools shows the same designation for both: UGC 7652. To the south-south-west is an oval fuzzy with intense bright core: NGC 4486A. IC 3443 lies to the south-east, a soft, faint medium bright object, with a brightening in the middle.